Hello everyone! 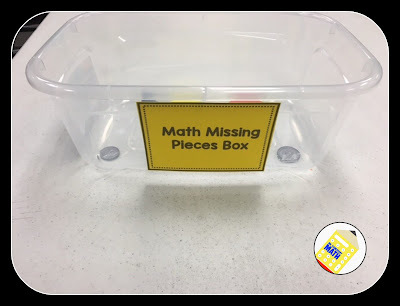 This is Greg Coleman from Mr Elementary Math and I wanted to share a simple yet effective classroom organization tip with you today. I LOVE math centers! They are a perfect time to differentiate instruction and work with small groups. Does it drive you crazy when you are in the middle of teaching a small group lesson and one of your students hands you a random math manipulative that was on the floor? Or how about when your students attempt to play a board game and several of the game chips are missing? Well, I may have just the right solution. It is called the Missing Pieces Box. All you have to do is obtain an empty box or basket and add the label "Missing Pieces Box" or "Missing Pieces Basket". Now you have a solution for two real problems that come along with math centers. 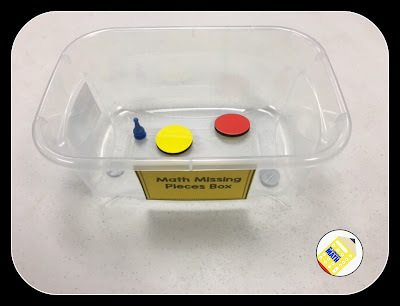 (1) What to do if students discover that games are missing items during workstation time? 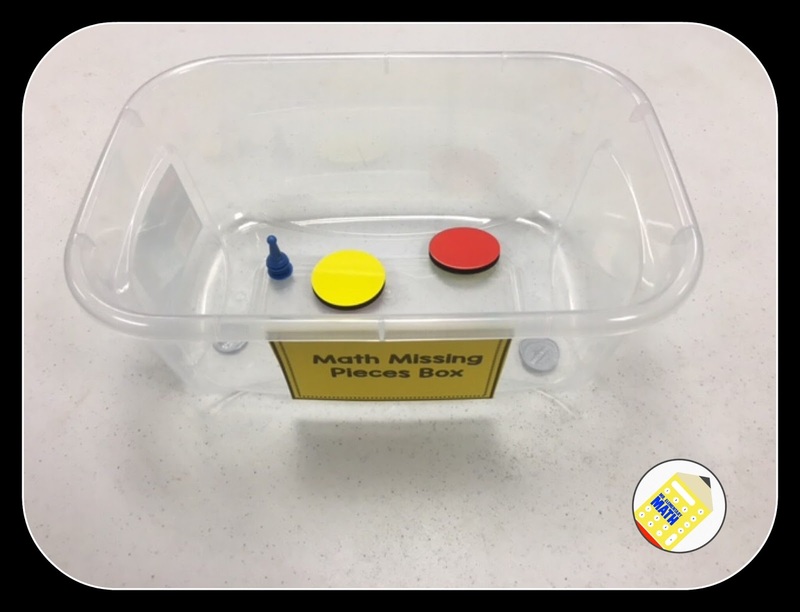 (2) What to do if students find misplaced items or manipulatives ? I hope you liked this classroom organization tip. For even more ideas from the Primary Peach, be sure to follow us on Instagram. Facebook and Pinterest to catch all the latest news and updates!